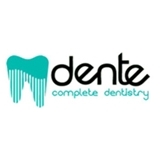 Dente Miami (Miami) - Book Appointment Online! The Dente family believes that a genuine smile is the window to your soul. Creating smiles from within is our passion and your enhanced teeth, our personal pride. Dente truly understands the physical and emotional transformation you will experience with a new bright smile… You’ll Shine Inside and Out. There is no better feeling than that refreshing rush of confidence! It is never too late to have the teeth – and the confidence – you’ve always wanted. The Dente team is equipped to perform complex restorative and reconstructive dentistry using the latest technology and methods . Why should this matter to you? Because technology is rapidly changing in the field of cosmetic dentistry. You don’t want dental work from the past; you want the future of dentistry! I'm not a fan of going to the dentist, but I must say my cleaning was pain free and very thorough. Would definitely recommend her.